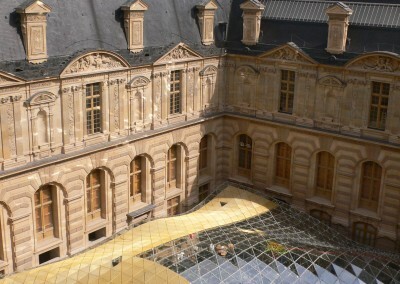 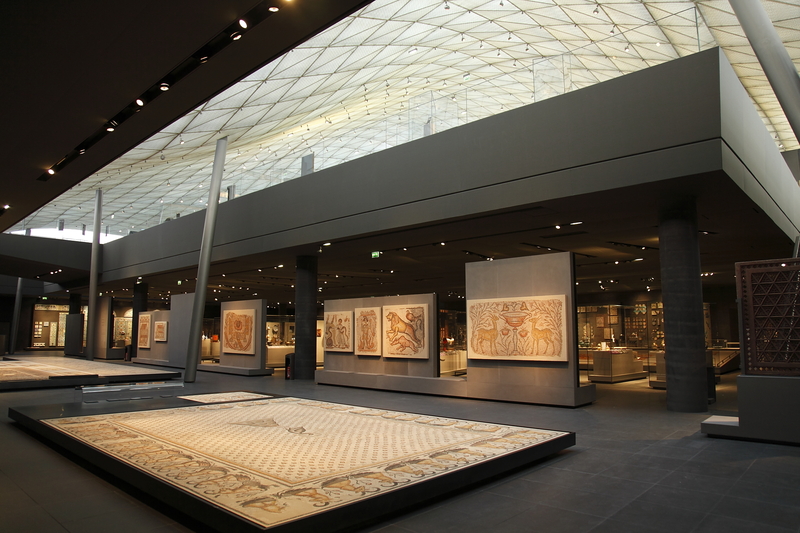 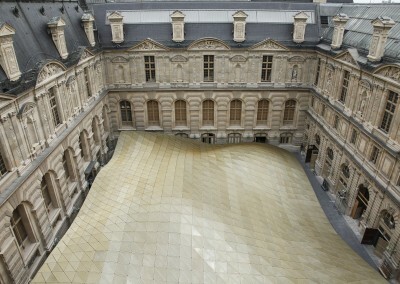 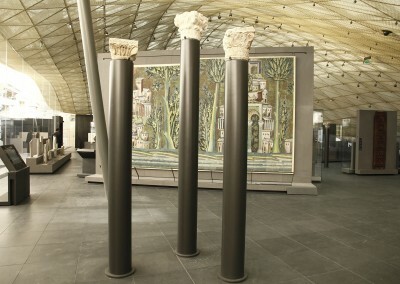 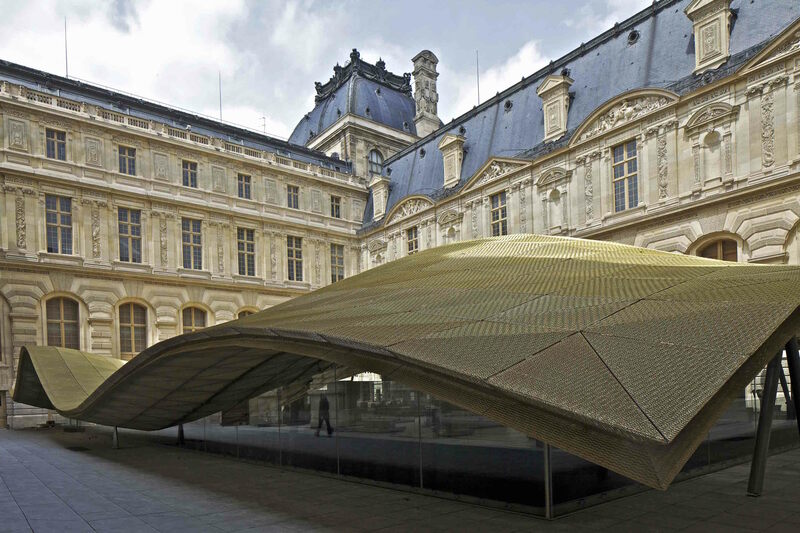 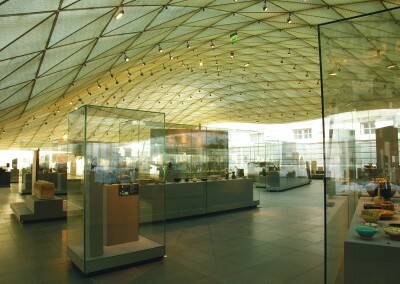 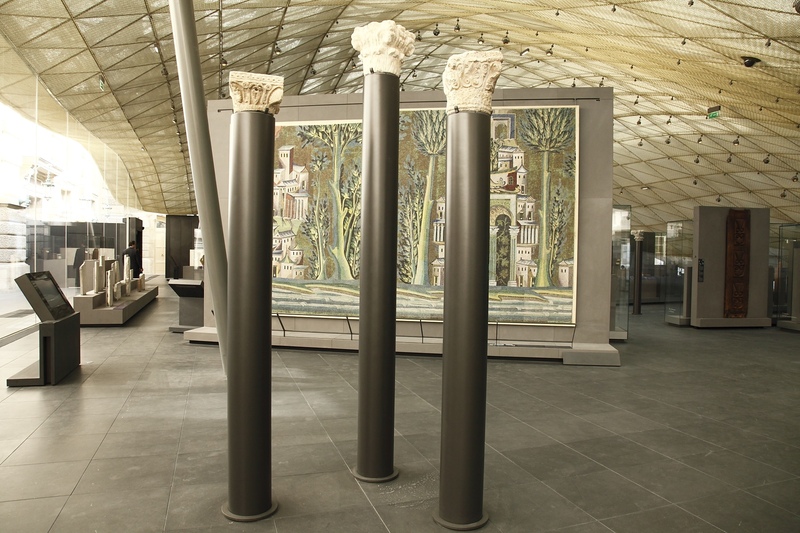 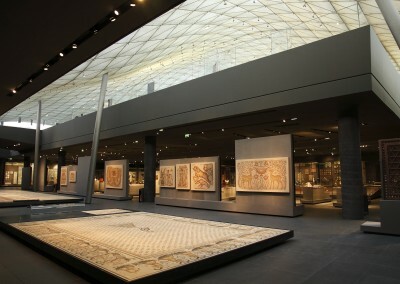 When the Louvre Museum decided to expand its collection and exhibition space to include a new Islamic Arts department, the whole of the Visconti courtyard, in the south wing of the museum, was made available. 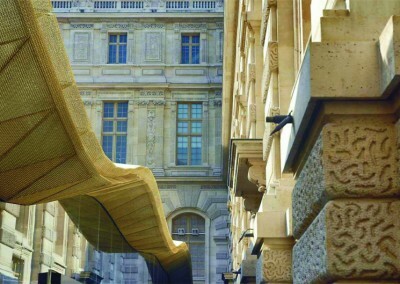 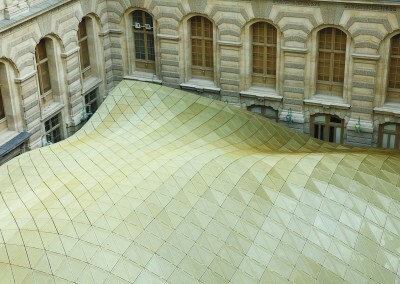 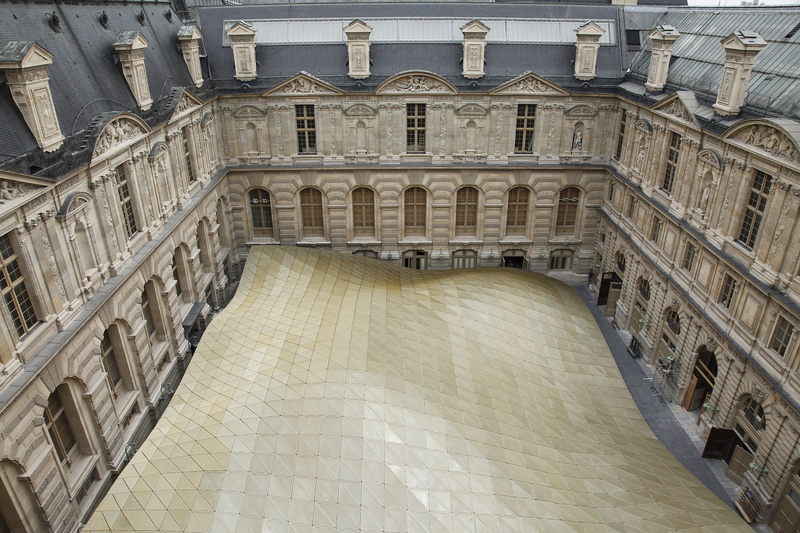 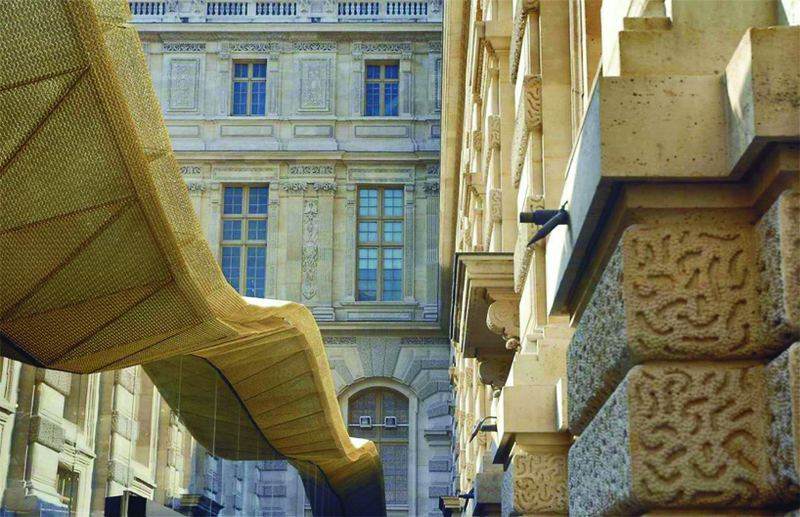 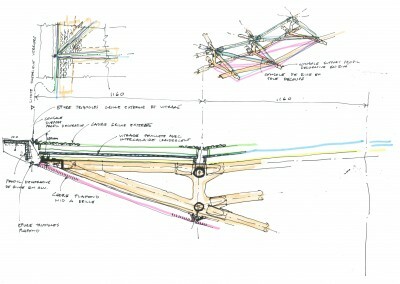 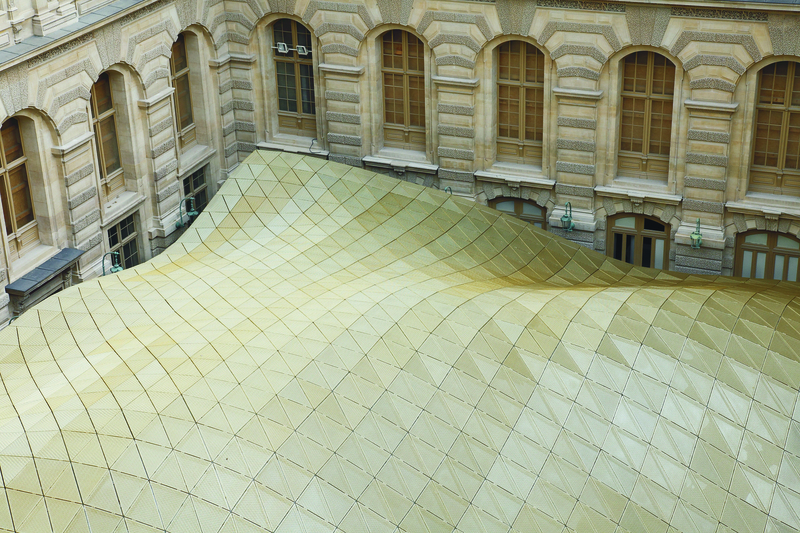 The design competition was won by architects Mario Bellini and Rudy Ricciotti, who proposed a glazed «flying carpet», with a free-form topography, to cover the courtyard exhibition space. 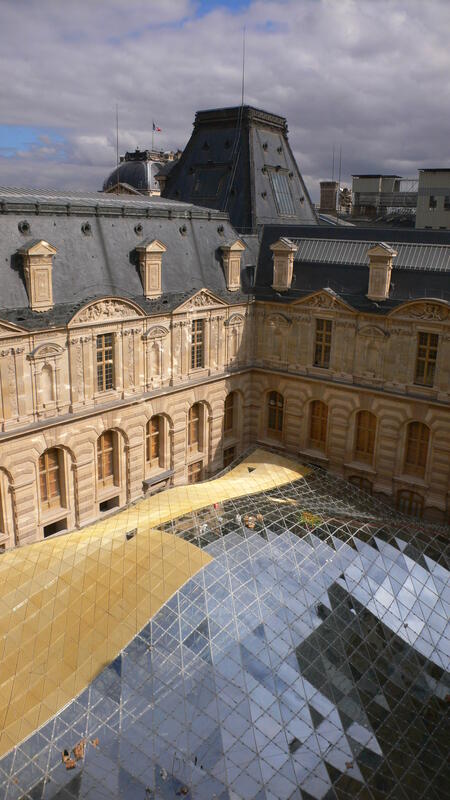 The laureats approached HDA for specialist assistance with the design of the courtyard glass roof and facades, including all of the cladding technology and engineering analysis. 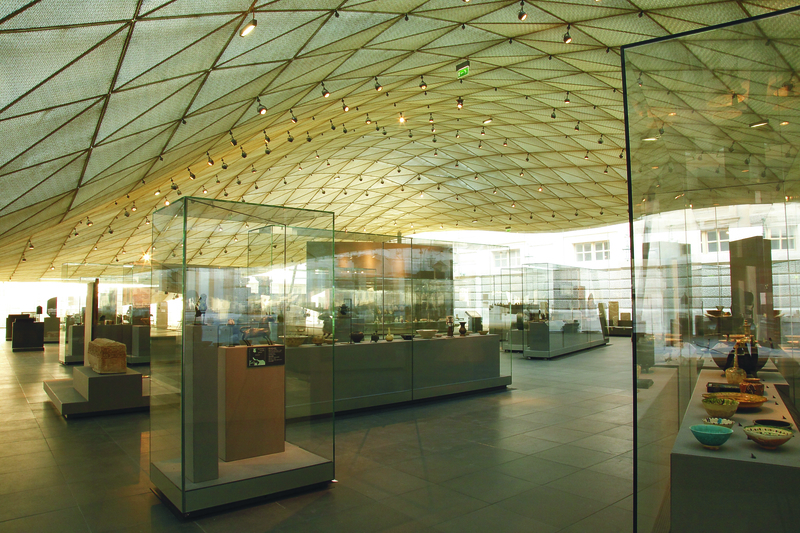 HDA developed a composition of triangular glass modules on a steel grid shell to achieve the roof form. 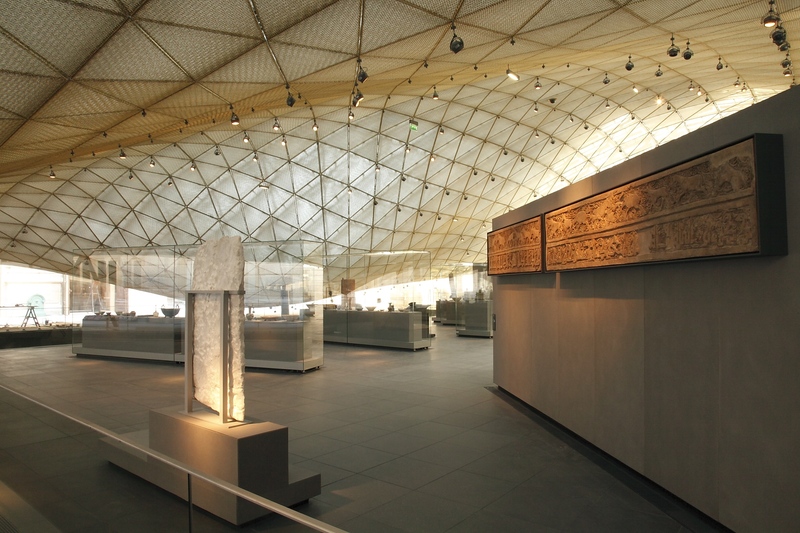 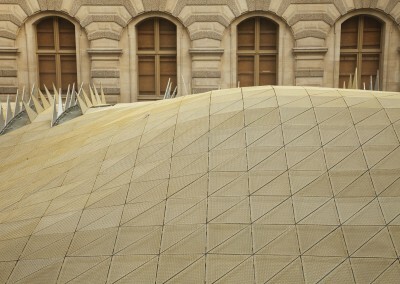 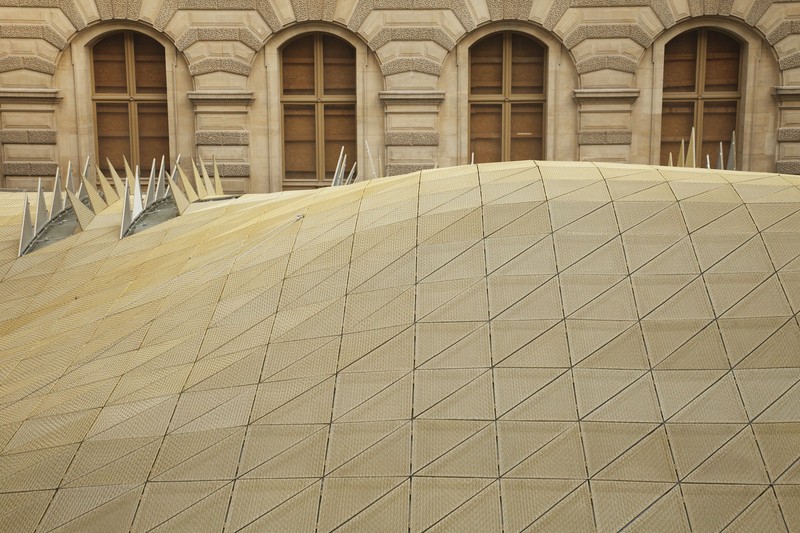 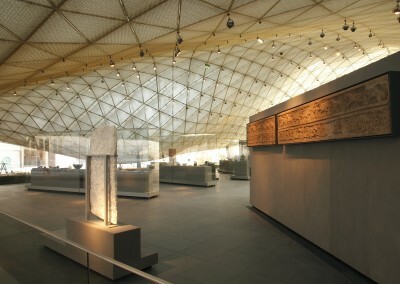 Paired metal grilles with a golden coating were added, top and bottom, for solar protection and the controlled, soft filtering of light down onto the precious exhibits. 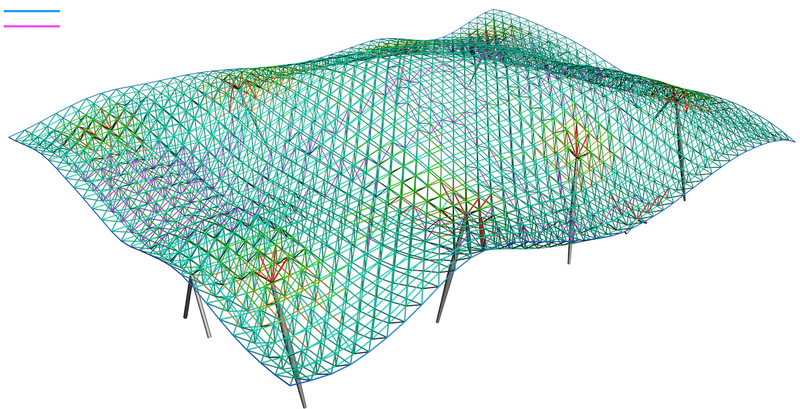 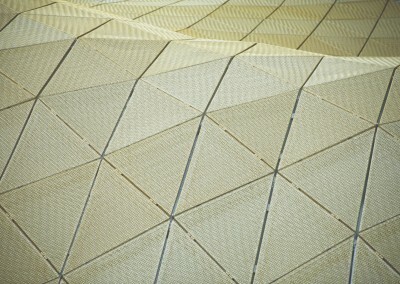 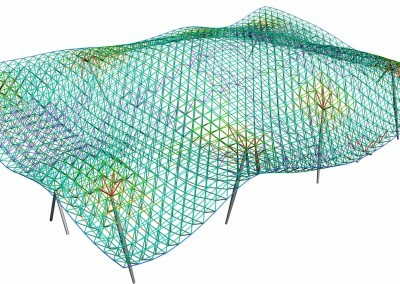 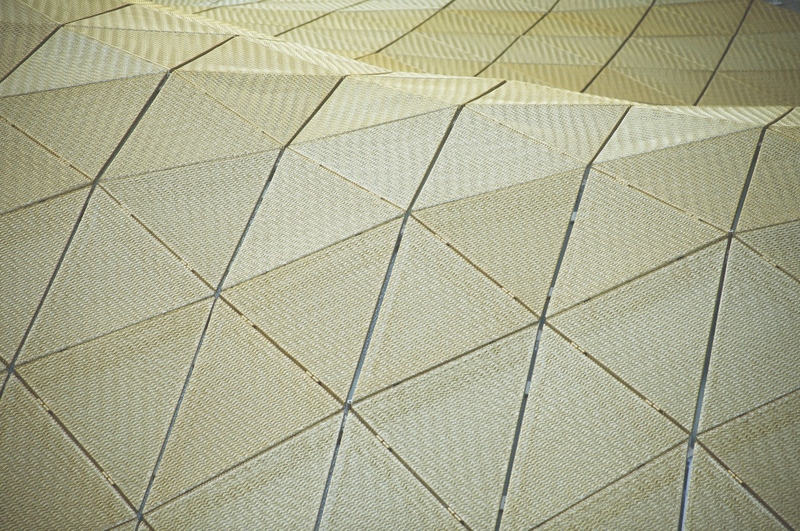 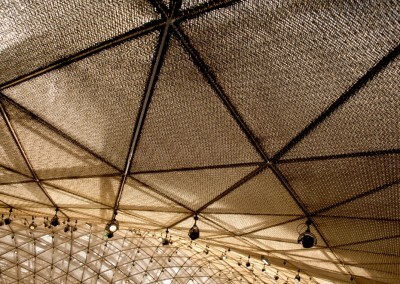 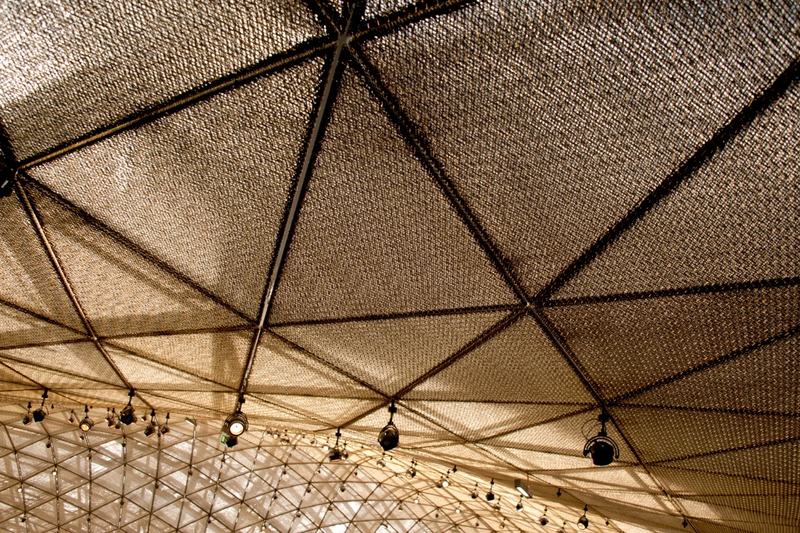 Looking upwards, the mesh arrays release veiled glimpses of the surrounding courtyard facades. 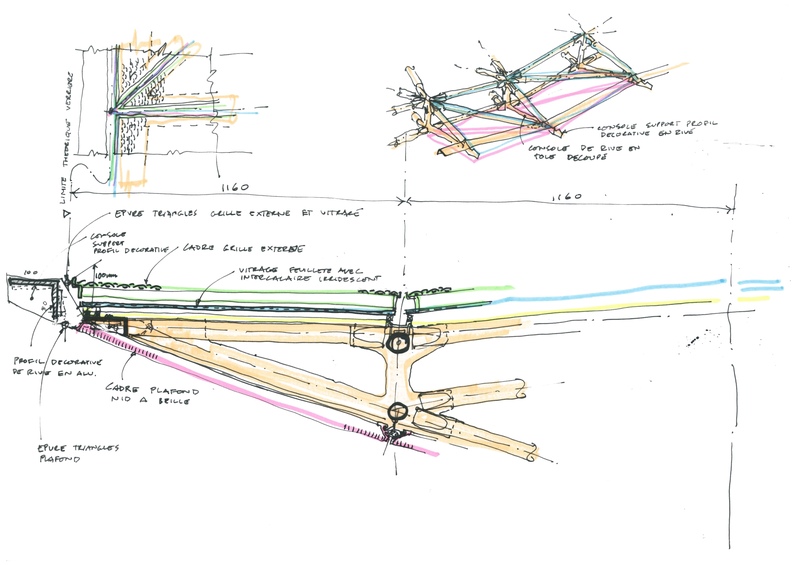 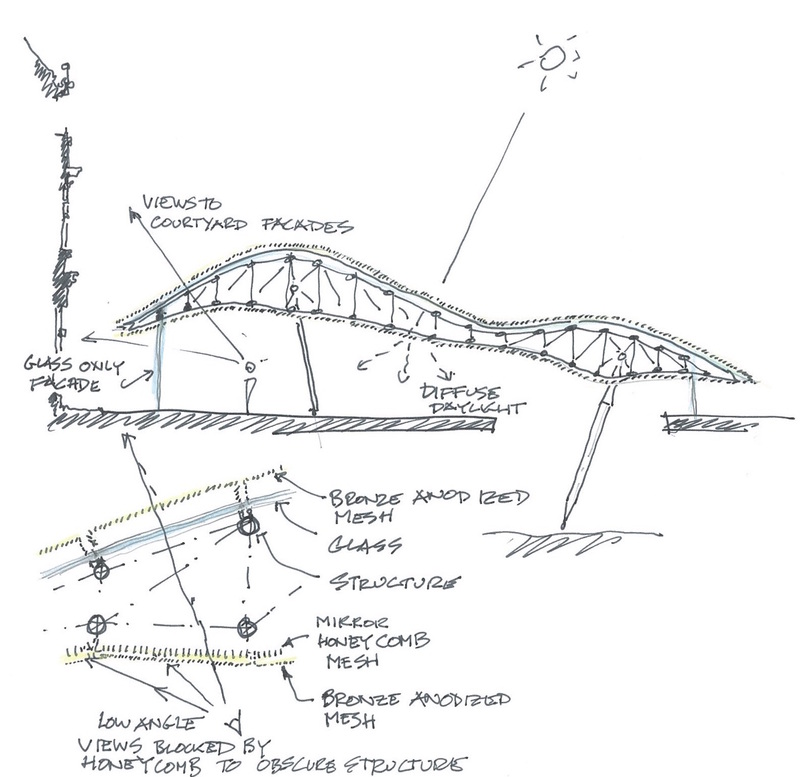 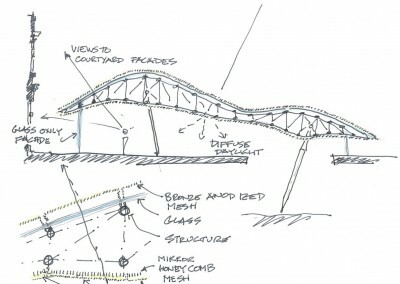 The resulting design is a soft, luminous, wavy surface, with a subtle play of light and transparency.